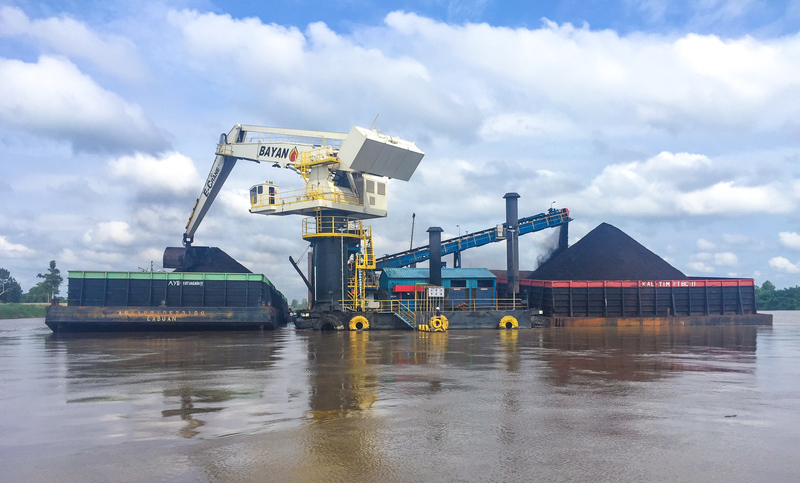 Energy consumption and environmental impact are key when it comes to investment in new port equipment – in other words, the environmental impact of a port crane needs to be minimized. 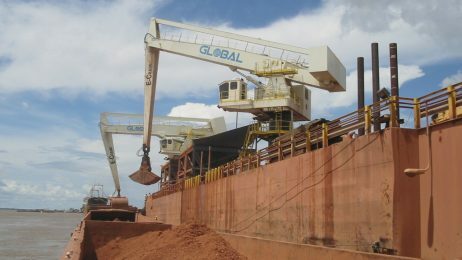 On the other hand, the cost associated with handling one ton of bulk material also has great importance, as this shows the economic feasibility. 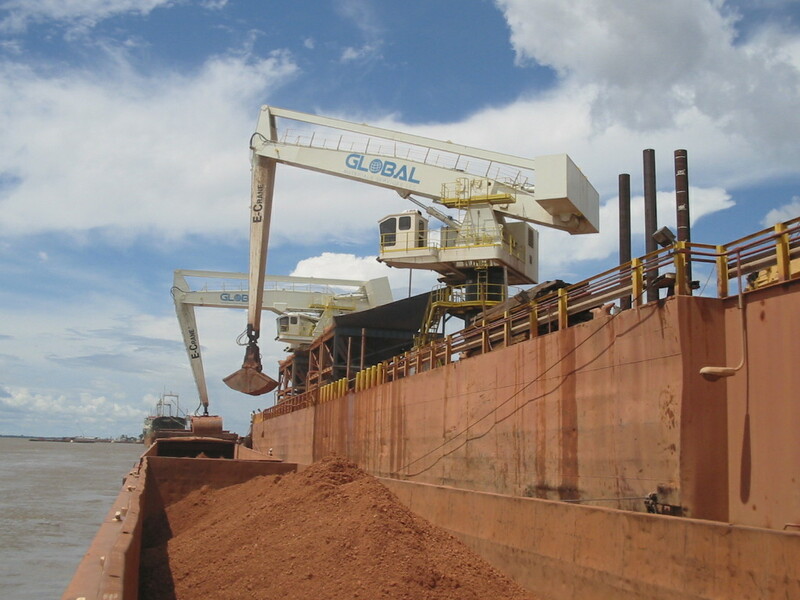 When handling difficult dry bulk materials as well as steel scrap, hydraulic material handlers have become standard and are considered the most suitable solution for the job. 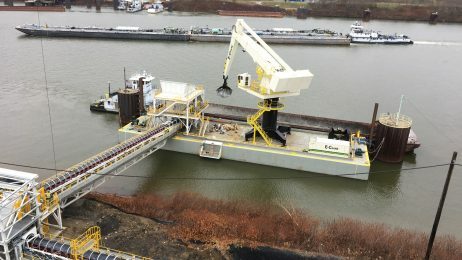 Wherever you look, traditional rope cranes are being replaced by hydraulic units that are faster and more versatile. Over the last few years, the move towards greater energy efficiency can also be seen on modern hydraulic material handlers. Several manufacturers now supply machines with hybrid systems where the energy released during the boom down function is stored into accumulators. When the boom is lifted again the stored energy is utilised to support this movement. Usually an additional cylinder is required in combination with an energy storage system. Suppliers claim to save 30-35% on the energy bills. At E-Crane we have not gone down the same track, as our basic design already results in the most energy efficient hydraulic crane available on the market. Utilising the principle of equilibrium, where the stick is mechanically connected to the rotating counterweight by means of a connecting rod, the load can be moved from point A to B at a fraction of the energy usually required. The energy savings achieved using hybrid systems on a material handler all of a sudden become insignificant. The E-Crane philosophy is simple: start from an energy efficient design rather than to adapt a fundamentally inefficient one. On any E-Crane the machine’s center of gravity always stays within the slewing ring, as the movement of counterweight and stick are synchronised. As a result, a balance situation is maintained and guaranteed at all times. When working with lighter loads the movable counterweight makes the arms go up almost spontaneously as it pulls the boom up. When working with heavier loads the movable counterweight assures smooth lifting at low hydraulic working pressures. There is also a tendency towards electrically powered machines, instead of the traditional diesel-powered material handlers, even on mobile machines. For material handlers this is considered to be a product innovation. What others see as an important innovation has been common practice for decades at E-Crane — electrically powered machines are nothing new for Belgium’s only manufacturer of bulk handling cranes. All machines are equipped with an electrical motor as the main power source and have been for some time. When no shore power is available, the machines can be equipped with a diesel generator set. Switching between shore power and diesel is possible in all circumstances. The optional use of a VFD (Variable Frequency Drive) can further reduce the size of a diesel genset, if this is required. Another major issue in modern ports is noise levels. As more and more terminals are close to urban areas, there can be strict rules as to the maximum sound level for new equipment. It is therefore often a requirement that an extra effort is made to reduce any noises from the port cranes in the best way possible. Thanks to the electro-hydraulic powertrain working at relatively low hydraulic pressures, the E-Crane is already one of the most quiet cranes on the market. However, as an option, E-Crane can install an additional sound dampening package to meet even the strictest demands. The E-Crane design provides the highest quality fabrication of all load-carrying steel constructions, high-class corrosion protection and reliable hydraulic components from renowned suppliers, such as Rexroth and Caterpillar. Design classification meets the highest possible standards in FEM or DIN, with the longest design life. Electronic controls include remote diagnostics and the possibility of semi-automatic crane operation. All crucial spare parts, including slew bearings, pumps and cylinders are in stock in one of the regional DC’s around the world, and available at very short notice even in the most remote locations. This reduces the operator’s need for spare parts stock to only those parts needed for regular maintenance as well as consumables, plus a limited selection of items, which are convenient to have on hand. 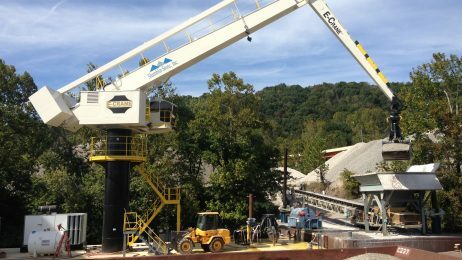 E-Crane prides itself in not only supplying equipment, but rather long-term solutions for bulk material handling challenges. After delivery and installation, E-Crane personnel remains present on site to carry out operator and maintenance staff training, as this is a practice both client and supplier will benefit from. When it comes to in-depth training courses for operators, maintenance personnel and terminal managers, additional training can also be arranged at the E-Crane Academy at the company’s headquarters in Belgium. In addition, E-Crane can also carry out all maintenance activities for clients. All-in maintenance contracts are in place for an increasing number of E-Crane users around the world, so that the crane owners can focus on their core business. Regular site visits by a certified E-Crane field service technician are made to support the client in the best possible way and to carry out preventative maintenance tasks. E-Crane further assists in optimizing the unloading process by continued operator training, bottleneck identification and process evaluation, and by making recommendations on how the terminal operations can be optimised as a whole. Furthermore, E-Crane is on standby 24/7 in case of emergencies and also guarantees the availability of replacement parts, should they be required, as part of the all-in maintenance contracts. All of which illustrates E-Crane’s strong commitment to being a long-term partner, rather than just a crane supplier. Where others claim to offer green alternatives, E-Crane really delivers — even more so when looking at machines that reach a life of 60,000 hours and more. E-Cranes provide longer outreach ranges than typical material handlers, starting from 25m, all the way to 50m. 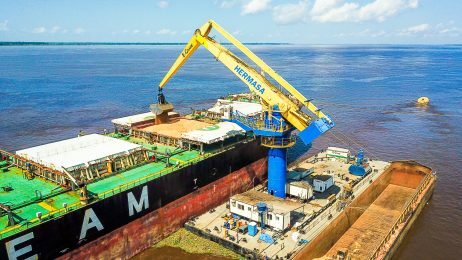 This outreach allows for unloading any type of barge or ship with minimum clean-up. E-Crane duty cycle capacity ranges from five to more than 60 metric tons. Although E-Cranes are compatible with any type of hydraulic grab, E-Crane’s clamshell buckets are designed with a powerful closing force affording maximum fill and eliminating spills and carry-back. The E-Crane operator’s cabs are equipped with a state-of-the-art control system for easy machine operation which builds operator confidence, reduces cycle times and maximises productivity. All in all, the E-Crane design makes the machines ideally suitable for high- volume industrial and mission critical applications in the most demanding working conditions — something that has been proved many times on all continents.